Odisha has witnessed a record surge in tourist footfall during November-December 2018, courtesy the Men's Hockey World Cup coinciding with the state's peak tourism season. As per tentative figures collated by Odisha's tourism department, the state received 1.61 million and 2.22 million domestic tourists in November and December respectively, upto 60 per cent higher than normal. Foreign tourists also arrived in higher numbers in the two months with an average monthly arrival of 15,000, higher by around 50 per cent. "The total sold out status of the hotels in Bhubaneswar and Puri was unprecedented in Odisha. It was all due to Hockey World Cup. Even after the World Cup, the occupancy rate of the hotels are on the higher side. Many hoteliers have also received advance bookings", said Benjamin Simon, tour operator and travel industry expert. “The flawless management of the event has sent a positive message across the global sports fraternity. In addition to the domestic tourists, embassy officials of Germany, United States and Italy are also keen to travel to Odisha. Increased flight connectivity is the icing on the cake”, he added. Industry sources now anticipate that the spurt in inbound tourists will spur the growth in capacity addition in budget hotels and other attendant infrastructure. Lack of ample hotel rooms in the star category is identified as a lacuna for tourism to thrive. An estimate by the Hotel & Restaurant Association of Odisha (HRAO) has assessed the deficit at 5000 rooms in star hotels. To overcome the handicap, the state tourism department is reaching out to marquee brands in hotels space like Hyatt, Marriott and Taj. The idea is to goad these plush hotel chains to develop properties in and around Bhubaneswar on their own or through the franchise model. The presence of iconic hotel properties is expected to lure more international tourists to the state. In parallel, state government is making assiduous efforts to position Bhubaneswar as the sports capital. By leveraging on the city's magnifying appeal as a sports destination, the state government hopes to bolster tourist footfall and earnings in tourism. Bhubaneswar's Kalinga Stadium played host to the riveting Hockey World Cup from November 28 to December 16 last year. In the run up to this sports spectacle, Odisha opted for co-branding of sports and tourism both within the country and in international venues. In its aspiration to be the country's sports capital, Bhubaneswar has proved its mettle by successfully hosting the 22nd Asian Athletics Federation in July 2017. Infrastructure for the event was readied in a stunning 90 days. 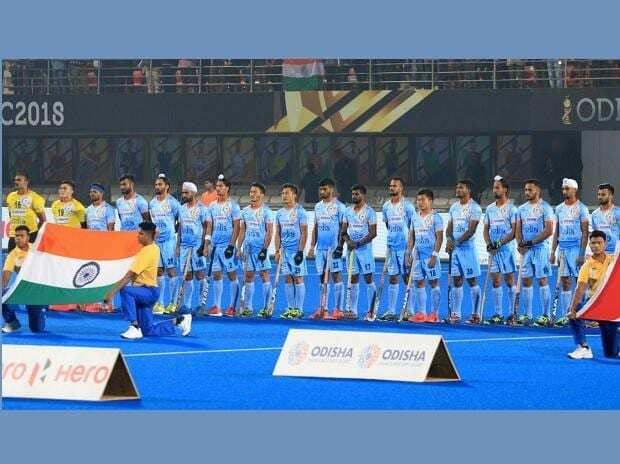 The momentum continued and peaked with the Men's Hockey World Cup where 16 teams vied for the coveted title.